Bank of Baroda Recruitment 2018: Gross annual salary on joining BoB will be approximately Rs. 8 lakh. 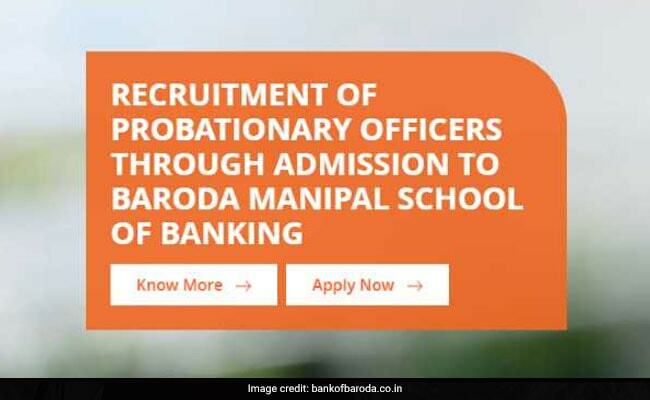 Bank of Baroda and Manipal Group have joined hands to set up the Baroda Manipal School of Banking (BMSB) to cater to the needs of training graduates in order to make them job-ready for a career in banking with Bank of Baroda. 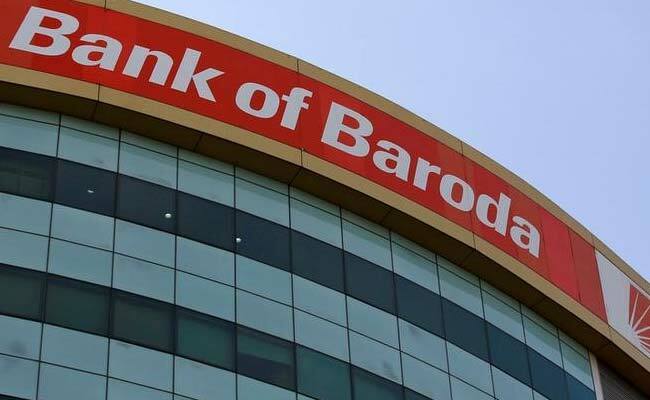 On successful completion of the programme within the stipulated time period, they shall be absorbed as probationary officers by Bank of Baroda, the bank said on its website, bankofbaroda.co.in. Candidates will be selected on the basis of an exam and subsequent interviews. Candidates shall be selected through a selection process consisting of online exam (objective + descriptive) followed by psychometric assessment, group discussion and personal interview. The selected students will go through nine months of on-campus residential program at the Baroda Manipal School of Banking leading to the award of a Post Graduate Certificate in Banking & Finance by Manipal University followed by a three months work integrated learning (WIL) in the form of on the job training at any branch of Bank of Baroda leading to the award of a Post-Graduate Diploma in Banking & Finance by Manipal university. The course is extendable to a further 18 months of blended learning which is optional at the option of the students and which will lead to award of MBA in Banking and Finance from Manipal University. On successful completion of the Post Graduate Certificate in banking and finance, the candidate would be offered appointment in Bank of Baroda as PO in JMG/S-I and can be posted anywhere in India as per the bank's discretion. On successful completion of the Post Graduate Certificate in Banking and Finance, the candidate would be offered appointment in the Bank as PO in JMG/S-I which is presently in the scale of pay Rs. 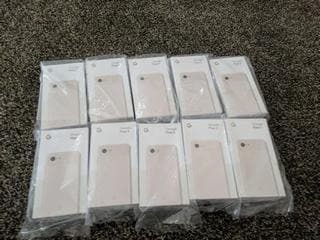 23700-980x7/30560-1145x2/32850-1310x7/42020. They will also be eligible for dearness allowance, house rent allowance/ rent reimbursement & city compensatory allowance as per rules from time to time. At present, the initial annual cost to company is approximately Rs. 8 lakh (including perquisites) in a metropolitan centre. The gross annual salary on joining the bank will be approximately Rs. 8 lakh (including perquisites) in a Metropolitan Centre. Officers are also entitled for various benefits / perquisites, facilities from the bank like various reimbursements / perquisites, concessional loan facilities for different purposes, LTC / LFC, holiday home, medical facilities for self and dependents, etc. The above mentioned various salary / perquisites, benefits, etc. may increase in future, by the time the candidates joins the services of the Bank. A stipend amount will be paid to the students during the entire duration of the -nine months course of the Post Graduate Certificate in Banking & Finance Programme. A total of Rs. 2,500 during the nine months campus period will be paid as stipend. The fees amount will be reimbursed by Bank of Baroda after completion of five years of service in the Bank. This is applicable for the students of upcoming batches (Batch 13 onwards) joining after September 2014. For 1st to 12th Batches, reimbursements will be made as enumerated in their offer letter or as modified from time to time. On successful completion of the course within the stipulated time period, BoB would offer appointment as a Probationary Officer in JMG/S-I. At the time joining of Bank's services, the candidate will have to execute a service bond for serving a minimum of three years in the bank w.e.f the date of their joining Bank's service or else, shall pay back to the bank the full amount of stipend received by him / her during the program, a notional amount of Rs. 1 lakh towards the cost of on-the -job training and also liquidate the entire educational loan outstanding at that point in time at the prevailing card rate from the date of availing of loan. From the third year onwards, any officer leaving the Bank's service will only have to clear his / her outstanding educational loan dues at applicable card rate. This condition is applicable to the candidates joining for BMSB from the selection exercise 2015-16 onwards. In case of candidates from 1st to 15th Batch (up to Selection exercise 2014-15), the period of service Bond will be two years.